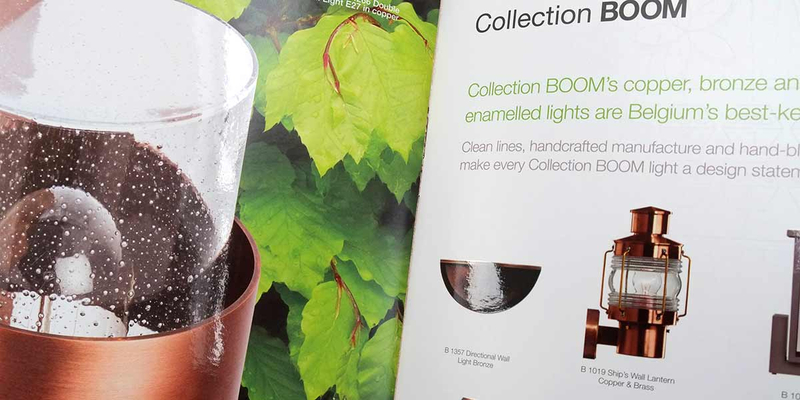 Q: What should we say to The Society of Garden Designers? 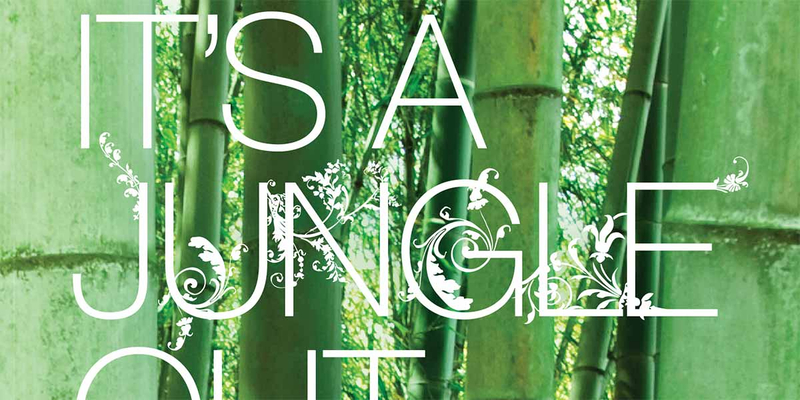 Angle: It’s a Jungle Out There. 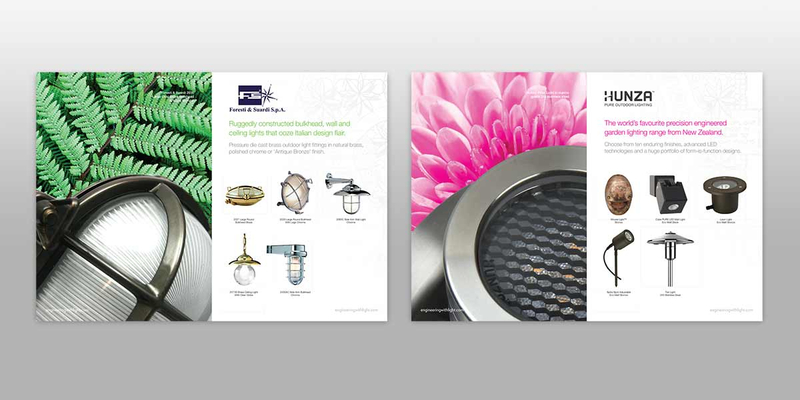 engineeringwithlight.com is the UK’s online shop for beautifully engineered outdoor and garden lighting. 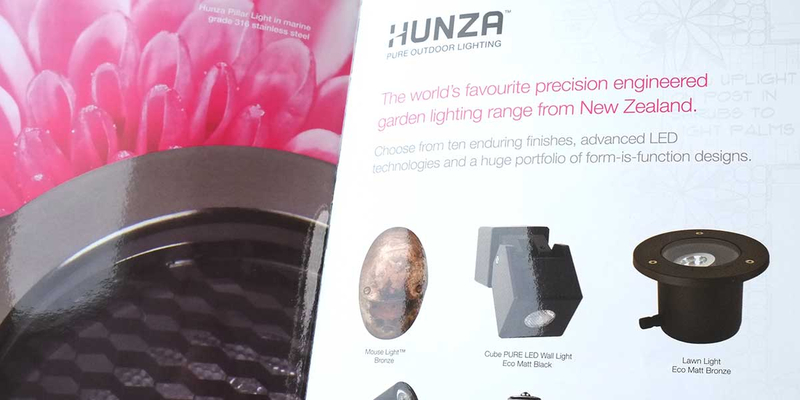 With a portfolio of the finest garden lighting brands, they sell to professional trade and retail customers. 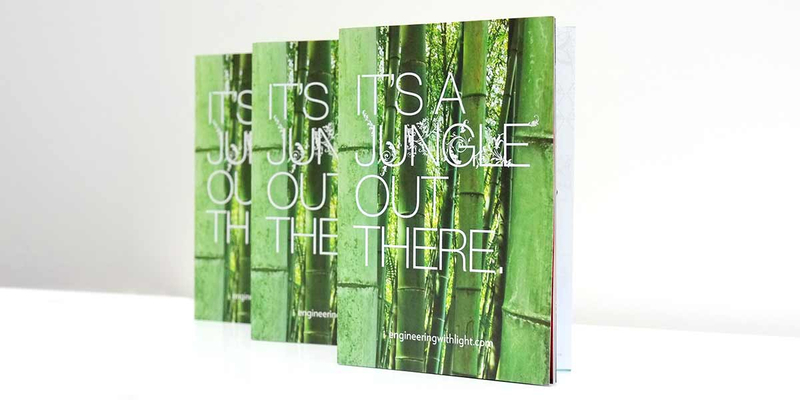 To help promote engineeringwithlight.com’s exceptional service and stunning product range to members of the The Society of Garden Designers, Angle designed suitably professional mailers to whet their appetite. 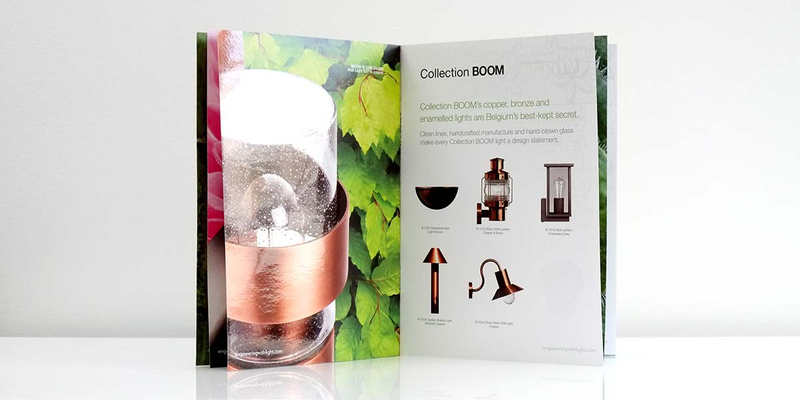 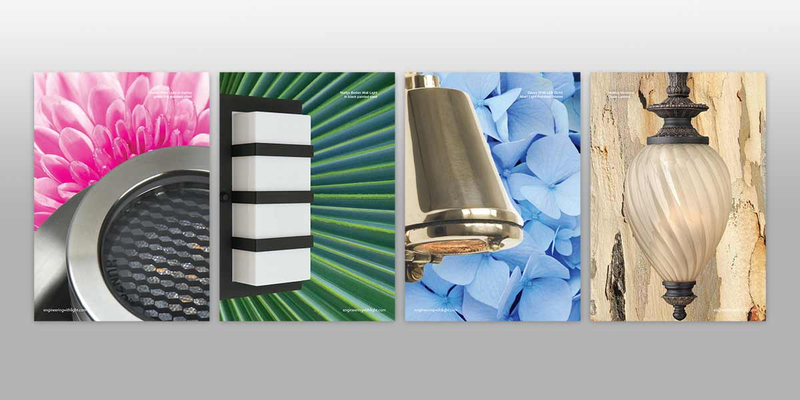 Seven spreads of the brochure are dedicated to the product brands, where close up product photography is integrated with beautiful details of flowers, leaves and structural plants.